﻿ Self-Fulfilling Prophecy of Leaders: Make It Positive! Self-Fulfilling Prophecy of Leaders: Make It Positive! Home | Blog | Lead | Self-Fulfilling Prophecy of Leaders: Make It Positive! The Training magazine reports that training expenditures in the USA totalled $59.7 billion in 2011 (www.trainingmag.com). Since that’s a substantial amount of money; it makes sense for companies to ensure that leadership training covers pertinent areas of human capital development, which can greatly impact employee performance. What might those areas be? We may not have an exhaustive list, but here is one area that Thomas Sy, an experienced business leadership consultant and assistant professor of Psychology at the University of California, Riverside, suggests: “How leaders view their employees”. This is an important area because the way leaders perceive their people tends to become a self-fulfilling prophecy! · When managers/leaders hold a positive view of their followers, they treat the followers positively. · When managers/leaders hold a negative view of their followers, they treat the followers negatively. The positive treatment towards followers in turn leads to better relationships and greater job satisfaction, which ultimately produces high performance – just as their leaders have “prophesied”. Based on the six conceptions above, a follower who is viewed positively is described as industrious, enthusiastic and good citizens. On the other hand, a follower who is viewed negatively is described as insubordinate, incompetent and conforming. 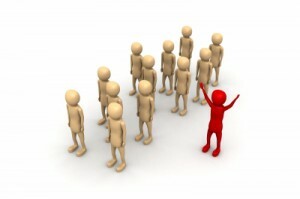 Implicit followership theories (IFTs) are defined as individuals’ personal assumptions about the traits and behaviours that characterize their followers.Leaders automatically and spontaneously categorize their followers and act on those conceptions, even if they don’t realize it.In a way, IFTs determine leadership styles. The more positively a leader views his people, the better the four interpersonal outcomes, which will in turn have a significant impact on performance. That’s why discovering your mindset about your people is an important step in leadership. What about IFTs in multicultural settings? Well, this might pose a problem. When a leader picks out potential talent, he tends to look for followers who fit in with his IFTs. For example, the Western leader believes that if you are enthusiastic, your enthusiasm will show; if not, then you’re probably not enthusiastic enough. So when this leader comes across followers who exhibit enthusiasm, naturally he treats them as “high potentials”. But when the same leader comes across followers from other cultures (for instance, Asian culture) that tend to be more reserved in expressing their emotions, the leader may inadvertently overlook them although deep down they have as much enthusiasm as their Western peers. Unfortunately, the same bias could also occur where gender is concerned. Leaders who subscribe to more negative IFTs may be prone to delivering punitive evaluations of their followers. On the other hand, leaders who subscribe to more positive IFTs may be prone to delivering positive evaluations of their followers. It is unfair to deprive or punish others because of the IFTs of your own doing. Therefore, leaders should mind their IFTs very carefully. Get to know your IFTs profile and question yourself why you believe in what you believe. Leaders, be mindful of what you think about your people. If you harbour negative conceptions, you can’t help but view your people negatively, regardless of whether they’re really as bad as you think they are. If you find yourself evaluating someone harshly, check whether it’s coming from your own biasness. Or, if you’re having trouble identifying someone’s potential, check whether it’s simply because they don’t fit into what you think constitutes potential. Try seeing your people for who they really are. Trainers and Coaches – Sy’s research suggests that it is possible to change leaders’ conceptions about their followers. So why don’t we make our self-fulfilling prophecies work positively in our people’s favour? For the organization, facilitating the right mindset change through training and coaching would be asmart corporate strategy because it positively impacts employee performance and ultimately, business performance.